Dakota Duncan - Follow writer, comic artist, Dakota Duncan. I'm glad you found me! I am the resident writer, artist, co-founder of Rising Owl Studios and ally of The Endangered Species Superheroes. This is my own little space in the world to highlight the cool stuff I am working on. I believe in words, art, conservation, the magical powers of animals, and pizza. 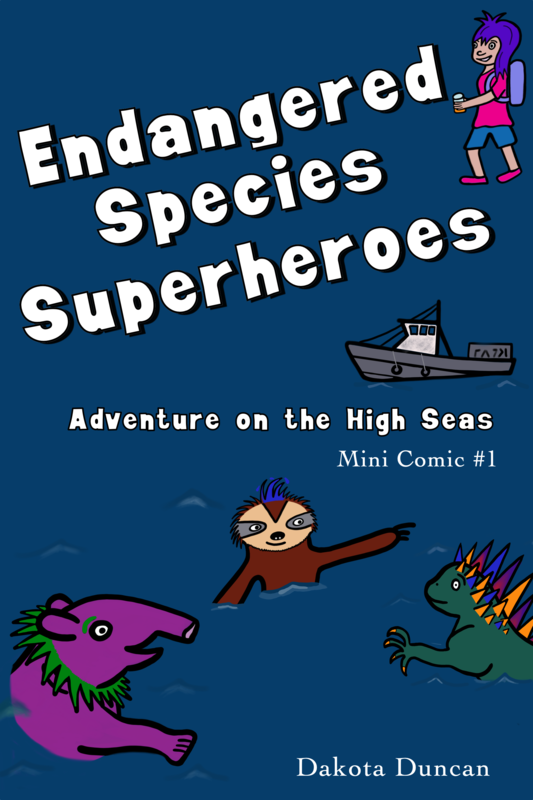 As a thank you for stopping by, you can receive a free mini comic book featuring the Endangered Species Superheroes. This is a quick glimpse into the lives of these unusual superheroes. It’s perfect for fans of the graphic novel, or for those just wanting to try a sample. 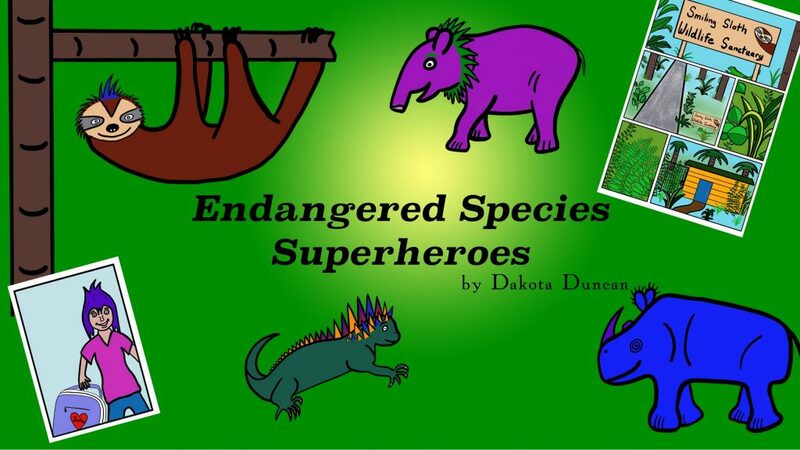 In addition to this sample comic book, I would love to send you occasional messages containing exclusive Endangered Species Superheroes content, interesting information about wildlife and conservation, and more. Just tell me where to send your gift. This area highlights projects I have completed, things I am working on, and ideas about future creations. After nearly two years, my first graphic novel is finally available for sale on Amazon! This has been a fun book to write and illustrate. Getting to know my characters as I was drawing them was quite a journey. I am getting wonderful feedback on this book, especially from the wildlife conservation community. 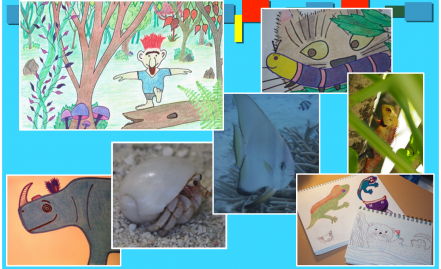 My hopes are that this book will help raise awareness of endangered species and the environment in young people, and serve as a starting point for parents to have important conversations about these topics with their kids. Teenaged Lindsey loves helping out at her grandfather’s wildlife sanctuary, assisting with his research and learning all about the animals. It’s a peaceful life until evil villain Mace Zagan escapes from prison determined to destroy her grandfather and all of his research. Lindsey would do anything to help her grandfather and so would her sanctuary friends; a sloth, a marine iguana and a tapir, all of whom are undergoing some very unusual transformations. Will their new abilities be enough to defeat Mace Zagan before he succeeds with his evil plan? For more details, and where to purchase the book click here. 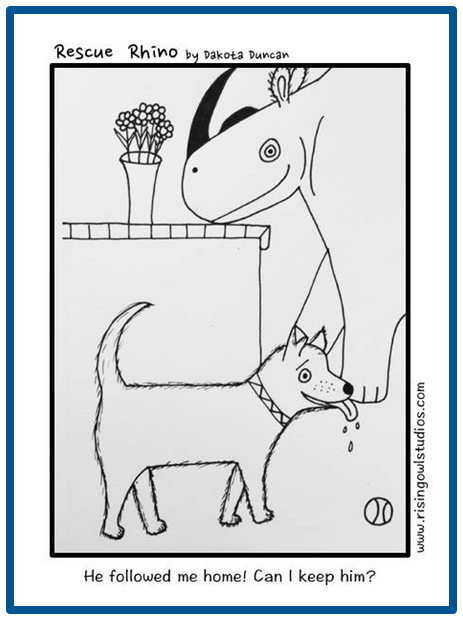 Rising Owl Studios is the home to my first comic, Rescue Rhino, a series about a Sumatran Rhino who has the ability to project herself as the cat she truly believes she is deep down inside. 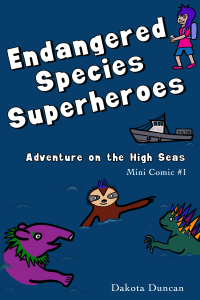 I will not be continuing this series, however, the lovable rhino/cat character now resides in a tropical jungle with The Endangered Species Superheroes. Rising Owl Studios has released three simple “just for fun” apps. My wife worked on the coding, while I created the artwork and music (with a bit of assistance from my son, Kelton, who was eager to help with Garage Band). The most recent was Spooky Critters, a Halloween game. I love Spike the Bat! Last year, we released Copter Critters. This is one of the three characters available. The very first was Alien Strike.